National Tractor Trailer School is a New York truck driving school. Founded in 1971, the school has over four decades of experience training men and women for commercial truck driver careers. NTTS is accredited by the Accrediting Commission of Career Schools and Colleges (ACCSC) and offers CDL training courses that are certified by the Professional Truck Driver Institute (PTDI). National Tractor Trailer School provides Class A CDL training on tractor trailers and Class B CDL training. Training is offered at two locations, NTTS – Liverpool, NY and NTTS – Buffalo, NY. NTTS has developed and utilized an approach to learning of theory, demonstration, and practical application for career training. The first exposure to new subject matter is in the classroom, where the theory, procedures and regulations of driving are discussed. These classroom and theory sessions are supplemented by student textbooks, CDL manual, CDL permit preparation, logs, road atlas, etc. 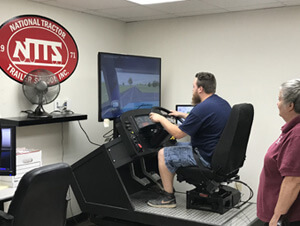 Upon completion of various classroom and theory sessions, a qualified NTTS instructor demonstrates the theory and procedures taught in the classroom through the use of shifting simulators and other equipment. Once students have viewed the demonstration and walked thru the procedure, they are prepared for practical application. Under the supervision of a NTTS instructor, students are now involved in the guided “Hands On” portion. These procedures are repeated throughout the entire program with an evaluation to ensure students every opportunity for successful completion of the program and future employment as a driver. 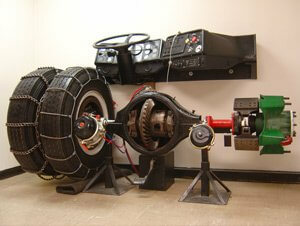 Learn more about commercial driver training courses offered at National Tractor Trailer School.